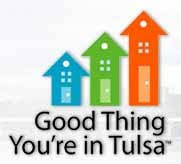 Is Now a Good time to Buy a House in Tulsa Oklahoma? Is Now a Good time to Buy a House in Tulsa Oklahoma? Let's ask the experts! Realtors are asked at baseball games, restaurants and every where we go, "Is now a good time to buy a home?" Let's see what a few experts say about that! Paulson is ranked as the 3rd largest Hedgefund in the World. And, according to MSN Real Estate, Tulsa ranked #9 for real estate bargains. Rates are the lowest in history. And if it's a good time to buy, it's also a good time to sell. Homes that are (1) move-in ready, (2) staged, (3) priced competitively, and (4) marketed aggressively will sell for top dollar in a reasonable period of time. Home values are up in Tulsa Oklahoma, and safe and sound. It's a great time to buy and sell in Tulsa Oklahoma. Contact a REALTOR today. Hallowmarine at the Oklahoma Aquarium runs Wednesday, October 27th through Sunday, October 31st from 6:30 pm to 9:30 pm . This wonderful family event is something you don't want to miss. 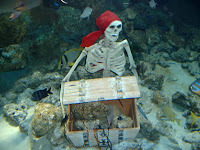 Dress up your ghouls and goblins and let them wander through the spooky Oklahoma Aquarium. Enjoy a kids carnival, trick or treat trail, mermaid and pirate dive shows and a secret decoder treasure hunt! Chinowth & Cohen Realtors will be on hand Friday, Saturday and Sunday nights passing out treats at our spooktacular Haunted House! We look forward to seeing you there! Can you smell it in the air? Bratwurst on a bun, smoked turkey leg, Bavarian cheesecake, German fried potatoes....... It's that time of year! 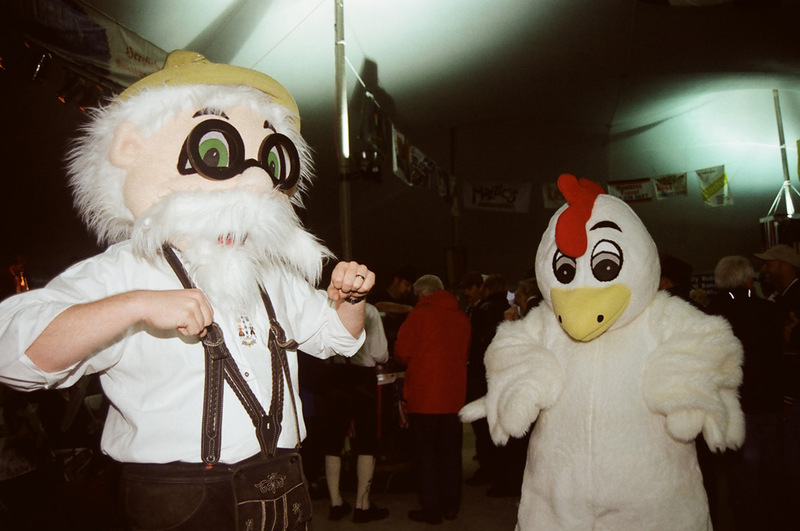 Tulsa Oktoberfest kicked off in full swing last night! The fun continues through this Sunday, October 24th. The festival has been named by USA Today as one of the top 10 Oktoberfest in the country! Now, that's an honor! The event takes place at River West Festival Park, 2100 S. Jackson Ave. Admission for adults is $6. Children under 12 are free. Pets are allowed on the grounds, but not in the tents. All money raised goes back to our community. To date, Oktoberfest has contributed over $850,000 to the Tulsa River Parks for enhancements and improvements. It's always an experience to attend this festival. There truly is something for everyone. Between the entertainment, the food, the beverages, the carnival rides and the arts and crafts, you will not be bored! Mark your calendar and get ready to do the Chicken Dance! Viel Spaß (Have Fun)! Carrie DeWeese, a Chinowth & Cohen Realtor Associate, has been accepted in the Leadership Jenks Class of XXIV. The goal of the Leadership Jenks program is to identify and motivate emerging leaders in order to increase the leadership base within the Jenks community. Leadership Jenks is a joint community leadership building program organized and co-sponsored by the Jenks Chamber of Commerce and the City of Jenks. Chinowth & Cohen Realtors is a full service residential real estate company with six locations throughout Northeast Oklahoma. In addition to residential real estate, the company operates a commercial division, C&C Commercial Properties. For more information on Chinowth & Cohen Realtors visit www.ccoklahoma.com. When preparing your home for sale, you need to evaluate what home buyers have purchased in your neighborhood in order to determine your list price AND to determine what you need to do to prepare your home for sale. If every home sold in the past six months had granite countertops and you have Formica countertops, do you think your home will sell? If every home sold was "immaculate and move-in ready," do you think your home that needs painting and new flooring will sell? Home Buyers today want a bargain, but they don't want to do any work. And they don't have to. The inventory of homes in our market is huge and ever increasing. 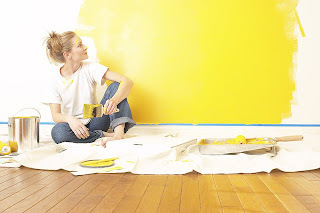 Even if your home is priced to reflect the need for new carpet or fresh paint, the average home buyer will walk six doors down and pay more for the home that needs no work. Remove as many possible home buyer's objections BEFORE you list your home for sale in Tulsa. Think Buyers may not like your OU crimson-colored game room? Paint it. Brass light fixtures looking a bit dingy and dated? Install new ones. Carpet in the den looking a little worn? Replace it, and consider wood flooring. Seek the advice of a home stager and/or real estate professional to identify improvements that will likely yield a return on your investment. Spending money up front to make your home shine and stand out from the competition will make your selling process so much easier. 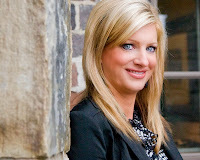 If you can't do the work yourself, your home stager or Realtor will have vendors to recommend. The winning home selling strategy does not change. Your home will sell if it is in top condition, priced correctly and marketed aggressively. Choose the Listing Realtor that understands this selling strategy. 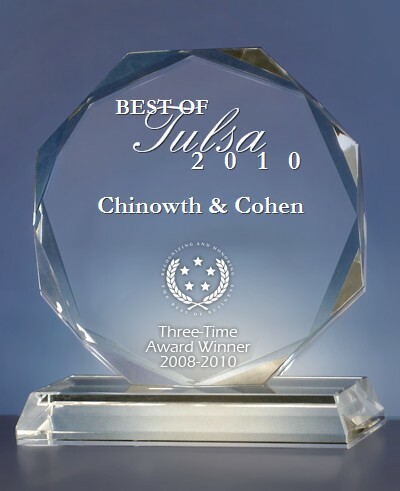 For the third consecutive year, Chinowth & Cohen has been selected for the 2010 Best of Tulsa Award in the Real Estate Agents category by the U.S. Local Business Association (USLBA). 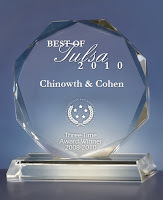 Chinowth & Cohen Realtors is a full service family owned Real Estate Company based in Tulsa, Oklahoma. Currently there are six offices including Bartlesville, Broken Arrow, Midtown Tulsa, Tulsa, Owasso and Sand Springs. The company was founded in 2004 by Sheryl Chinowth and Lee Cohen. Currently, there are over 320 Associates affiliated with the firm. In addition to residential real estate, Chinowth & Cohen Realtors has a full service Property Management Division and Relocation Department. C&C Commercial Realtors, a division of Chinowth & Cohen Realtors, focuses on commercial real estate in the Tulsa area. The USLBA was established to recognize the best of local businesses in their community. The organization works exclusively with local business owners, trade groups, professional associations, chambers of commerce and other business advertising and marketing groups. Their mission is to be an advocate for small and medium size businesses and business entrepreneurs across America.